Alright folks, special thanks to Gametraders Marion, and you the followers. We’re offering in junction with the store exclusively, a special for you! GT Marion has in stock, RARE (no pun intended) Killer Instinct packs for the Super NES. 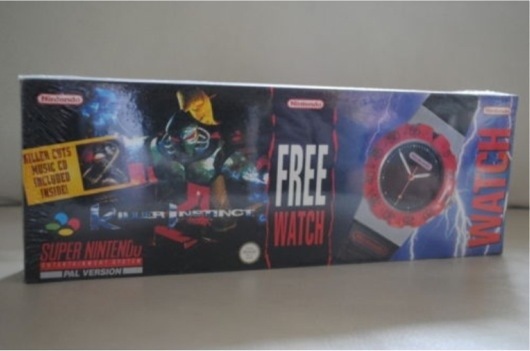 This is one beaut pack, as it includes the game, Killer Cutz CD, and a digital sports watch. They are available for $99.95 at the store, but if you mention the code word “ultratech” you can get $20 shaved off the retail price, bring it down to $79.95. This special is available till Sunday the 12th of February 2012, or until stock runs out!